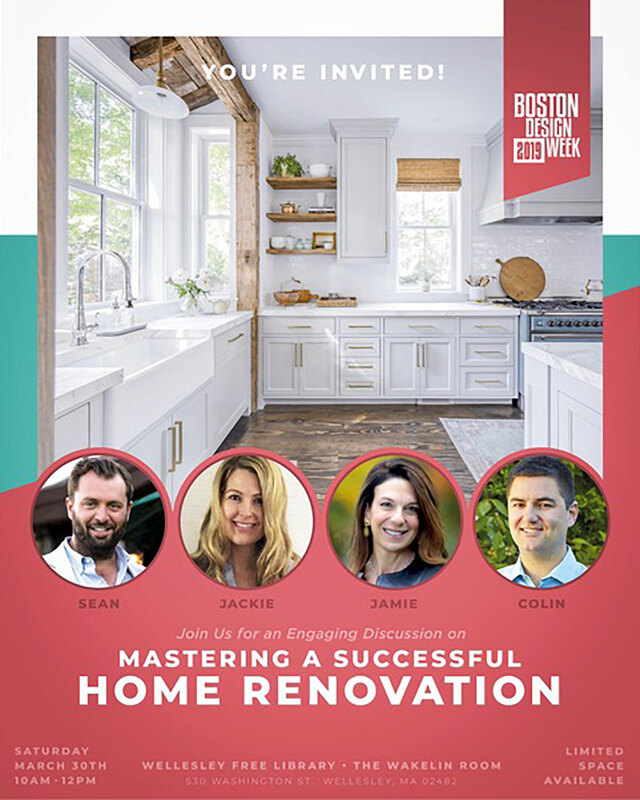 If you are thinking of starting a home renovation project and are worried about the process, if you're uncertain if a project on your property is permissible in your town, or if you're in the market to buy a home that you'll make your own, check out the Boston Design Week event "Mastering A Successful Home Renovation," March 30. A panel of four home design and renovation experts engage in a lively discussion, and can answer your many questions. You'll also hear tips and tricks to make your own renovation successful! Sean Cutting, President of Cutting Edge Homes Architects + Builders, which has renovated some of Massachusetts’ oldest and most beautiful homes. Colin Hand, of a Blade of Grass, which has thoughtfully-crafted and maintained landscapes in the Boston Metro area for 25 years. Jackie Hemple, of Finding Lovely, who brings her design expertise and insights from the recent renovation of her historic 1870's Wellesley home. Jamie Grossman, an expert in navigating the home buying and selling process, who brings her sharp eye for design and decades of experience in the residential real estate industry. RSVP: click here to RSVP for this free event.